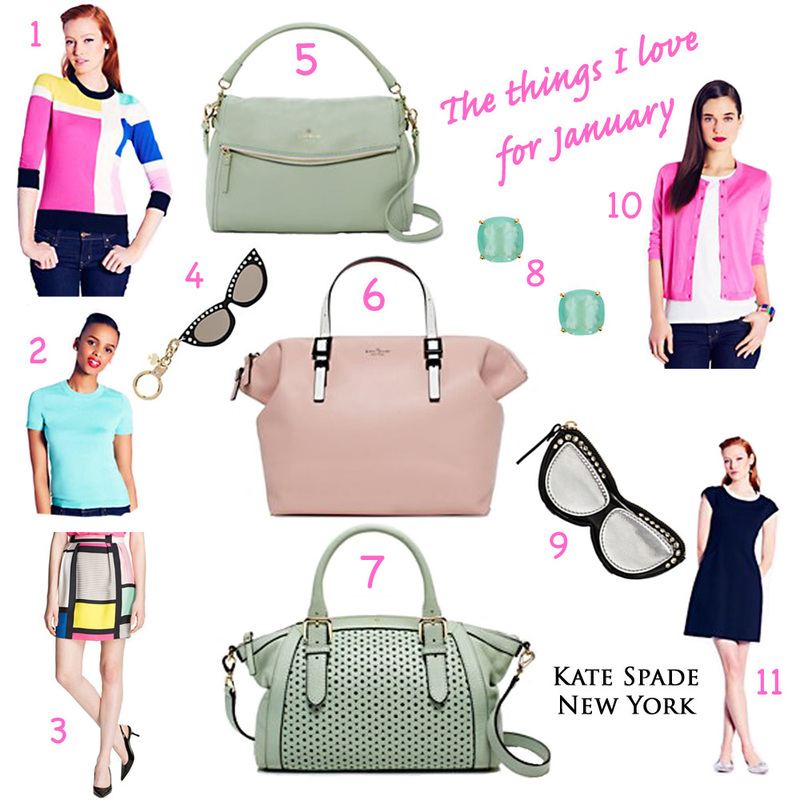 This year Kate Spade is doing a monthly Things We Love, so I thought I would spotlight a few things that I love from KSNY’s January Things We Love for you. For January they’re starting out with a Pop of Color, which can sometimes be difficult for me to add into my wardrobe, but I did find somethings with a pop of color. My favorite is the Daria dress and the Sunglasses Key fob, I need that for my keys asap! Of course I’d add the Sofia cardigan for that pop of color. What would your pick(s) be? I’m loving this dress and the name of the color, hello Rio Red! This dress can of course be worn for that special Valentine’s Day outing, but can also be worn in the Fall (in my opinion) and I like the floral embellishment that was added to the sheer yoke. It makes it look like you’re wearing a wonderful piece of jewelry. Love it! BCBGMAXAZRIA – VALENTINE’S DAY SHOP: MARIANA TIERED A-LINE DRESS. I just spotted this lovely dress here, thank you Neiman Marcus for the email. 😉 It’s of course by Kate Spade. Which in my opinion means that you can wear it both ways! I’d love to give that a try…if anyone over at KSNY is reading this. 😉 I will be in Dallas this weekend so I may give it a try then…if my hubby is properly drugged can be persuaded to take me to North Park. I guess a trip to Bass Pro Shop is in my future.